Heirlooms: Stories by Rachel Hall is a series of connected stories that read like a novel. Four generations of a Jewish family are touched by the secrets held as one generation copes with the Nazi occupation and, ultimately, flees France to safety. What are the heirlooms this family carries into their new lives? Is it a baby carriage? A beloved wedding band? Or is it simply the memories that flood their minds when they refuse to speak of the past? Beyond loyalty and duty, each generation is tethered by the ghosts of the past — a father who dies a revolutionary at the hands of Nazis and a mother dying in bed calling for her mother even as her own baby waits in the next room. Peeling back each layer, readers peer into the lives of the Latour family, seeing echoes of the past and reverberations into the future. Even the smallest decision of a stranger desperate for a child she can never have is felt through the generations, forcing one member to make a decision that affects many more and another to accept responsibility for a casual moment. Heirlooms: Stories by Rachel Hall is a deeply moving collection of stories about survivors of WWII and how they coped with their own survival. Fears and protecting their children were forever at the top of their mind, making them hide the past. Despite their efforts, the past can re-emerge in the most unpredictable ways — the effect of heat-stroke leaving you exposed to those you sought to keep from prying too much, from getting too close. 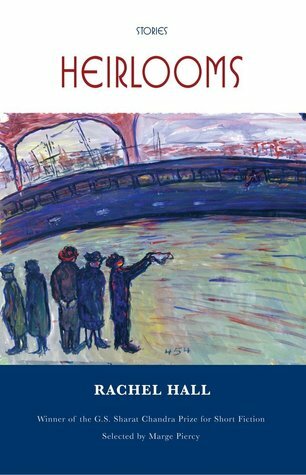 Rachel Hall’s collection of linked stories, Heirlooms, was awarded the BkMk Press 2015 G.S. Sharat Chandra prize, selected by Marge Piercy. 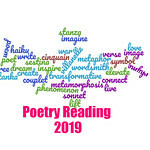 Hall’s stories and essays have appeared in a number of journals and anthologies, including Bellingham Review, Crab Orchard Review, Gettysburg Review, Lilith, New Letters, and Water~Stone. In addition, she has received awards and honors from publications such as Lilith and Glimmer Train, and New Letters and from the Bread Loaf Writer’s Conference, Saltonstall Foundation for the Arts, as well as Ragdale and the Ox-Bow School of the Arts where portions of Heirlooms were written. 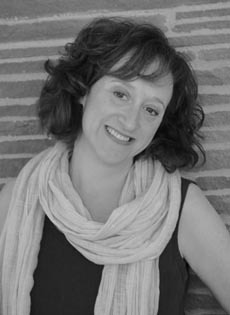 She holds an MFA from Indiana University where she was the Hemingway Fellow in Fiction. Currently, Hall is Professor of English at the State University of New York-Geneseo. She teaches creative writing and literature and holds two Chancellor’s Awards for Excellence—one for teaching and one for her creative work. Thanks, I’m very much looking forward to reading this. I’m reading this now, and it’s very well done. And you know how picky I am with short story collections. Great review! Short stories tend to be held to a higher standard, I’ve noticed. Yes, that’s true. You have to be able to say a lot about the characters in so few words. Great review, Serena. The book sounds right up my alley! Thank you for the recommendation. I hope you check it out. It’s good.